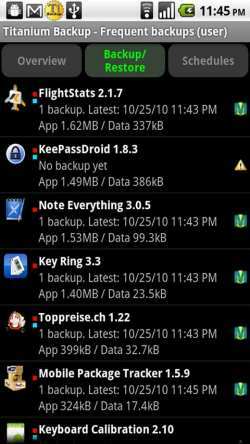 There are many root apps on the Android market, and the best of them has to be Titanium Backup. This app has had an update that now features the ability to restore individual apps (with their data) directly from a ClockworkMod 5 backup, this now means that full restores are obsolete. 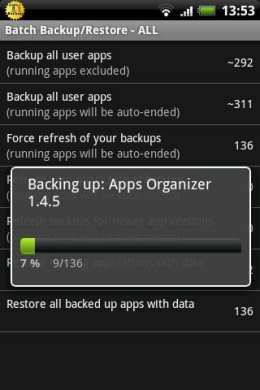 RootzWiKi mentions that AppExtractor is a great app for ROM flashers, this is very good indeed because it allows you to restore separate apps and settings from ClockworkMod backups but with the new Titanium Backup Pro Root app update you will not have to do full restores of all data each time you decide to flash new ROMs. The Titanium Backup app update also includes: Added a GUI preference to select between base-2 or base-10 units when displaying sizes, Minor bug fixes and optimizations, Fixed a GUI bug which caused app versions to be displayed incorrectly in some cases and Updated translations. The new added the ability to restore individual apps (with their data) directly from a ClockworkMod 5 backup, is only available in the PRO version of the app. For more information and to get the update, please visit the Android Market. Previous article Previous post: What device you waiting for ICS to go on?